StyleENGINEERED has garnered a selection of exclusive works from unique artist Shelley Cassidy. Shelley Cassidy is the quintessential observer, armed with a fascination for recreating narratives through the medium of paint. Though now London based, Cassidy spent many years living in Los Angeles, where she was commissioned to paint a Mural at the International Airport, she worked with Sony pictures on an earth day project with the twenty eight volunteers the Company provided to help her execute the design. She has been featured in the Los Angeles Times and worked on a reality television show called Clean House. In addition to the ‘mural years’, Cassidy has had solo and group shows of her oil paintings both in London and Los Angeles. Most recently her stunning ‘Occupy My Heart’ piece was made available on StyleENGINEERED.com as a print for Valentine’s Day 2014 and is still available for those who want to give a loved one a gift, just because! 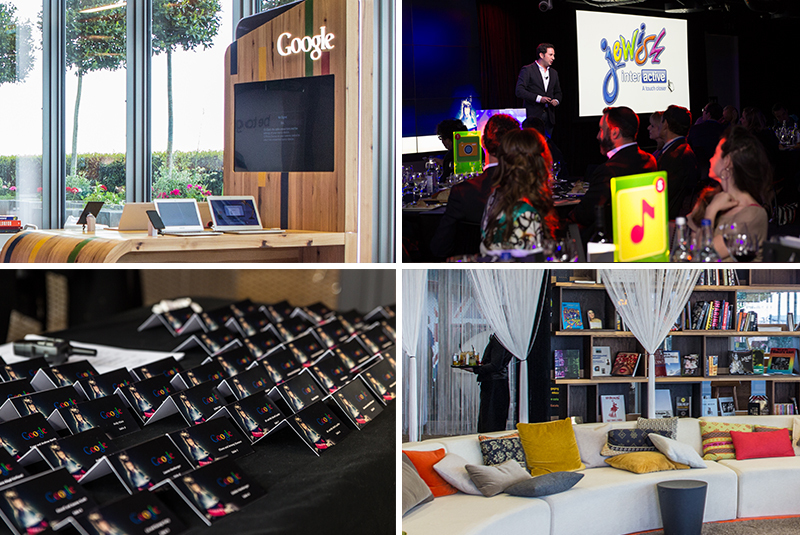 Jewish Interactive hosted their second annual dinner at Google HQ London this week, raising awareness of their work transforming Jewish education with technology. StyleENGINEERED coverage on the DIARY website.